In a world that is becoming increasingly virtual, the parks remain places of visceral beauty. 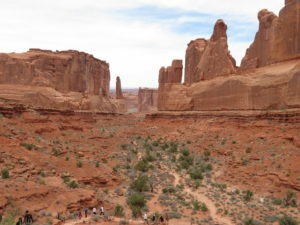 You may not have been there yourself, but you’ve undoubtedly seen pictures of Arches National Park. 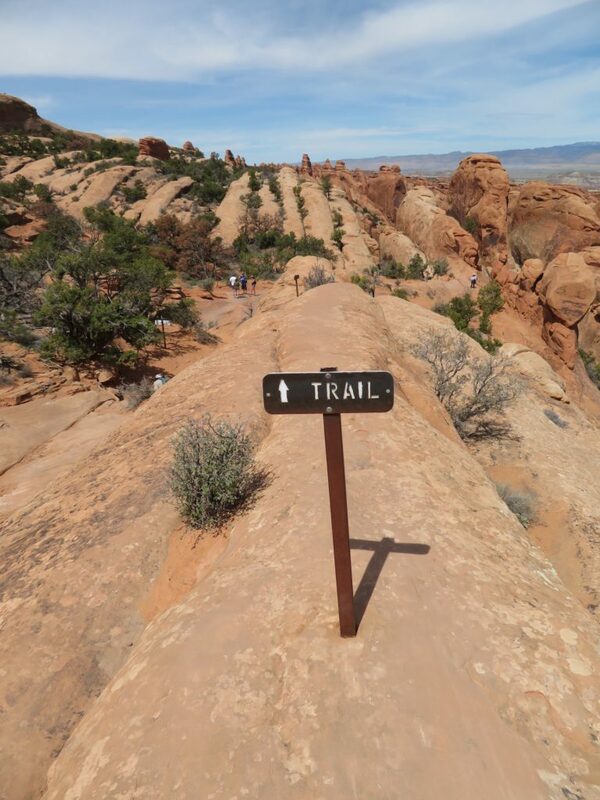 On our current journey through the southwestern US we managed to spend two days hiking through this unique area, located near the southern border of Utah just outside the town of Moab. 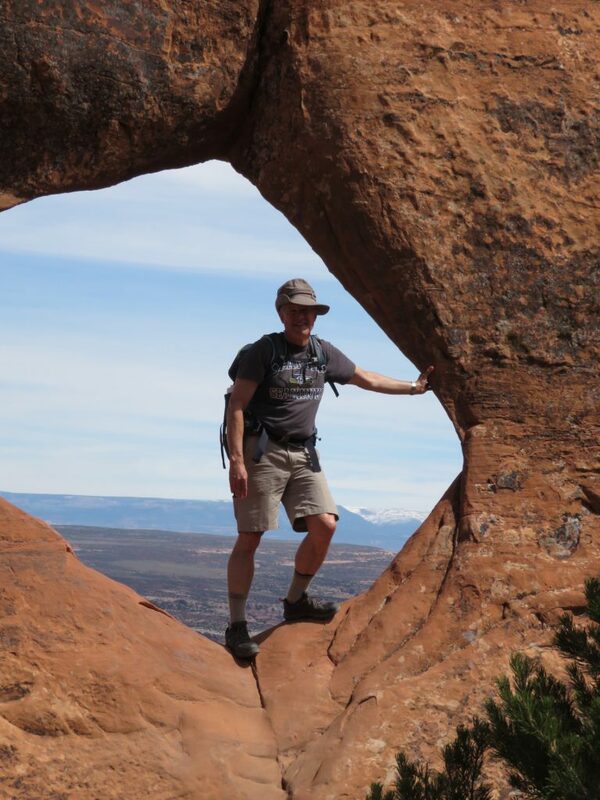 Devils Garden Trail. 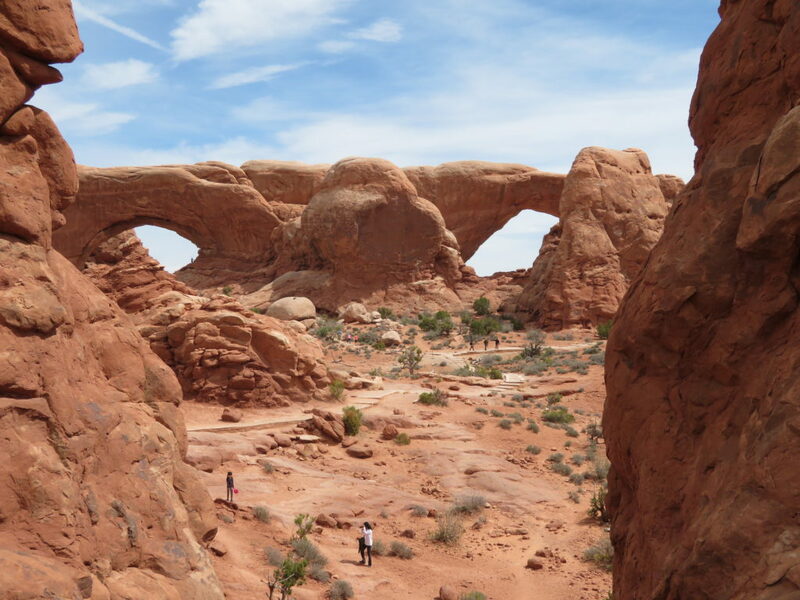 The first part of this trail to Landscape Arch—THE longest natural arch on the planet—is only a mile-and-a-half and relatively easy. But the full trail is over seven miles and took us about five hours. 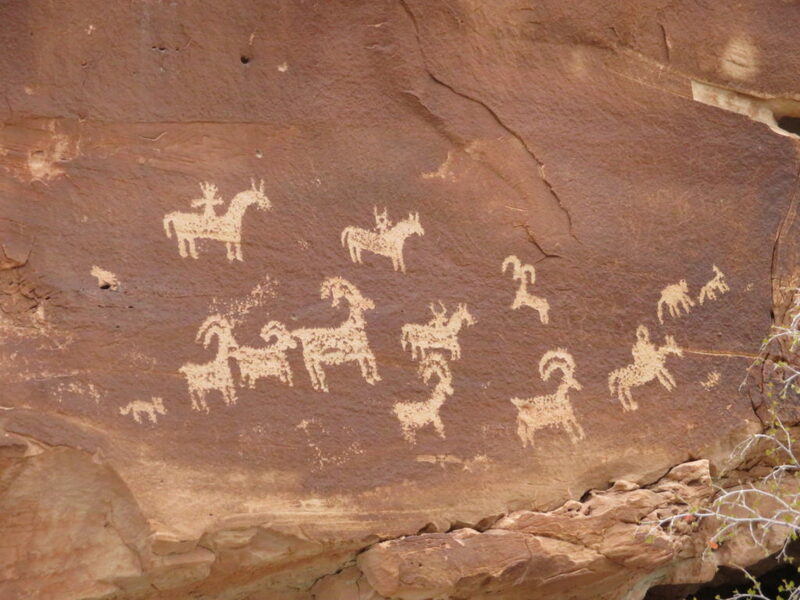 It involves a lot of crawling up and over rock faces and isn’t always well marked. At one point I lost the trail and only the AllTrails map on my phone put me back on track. 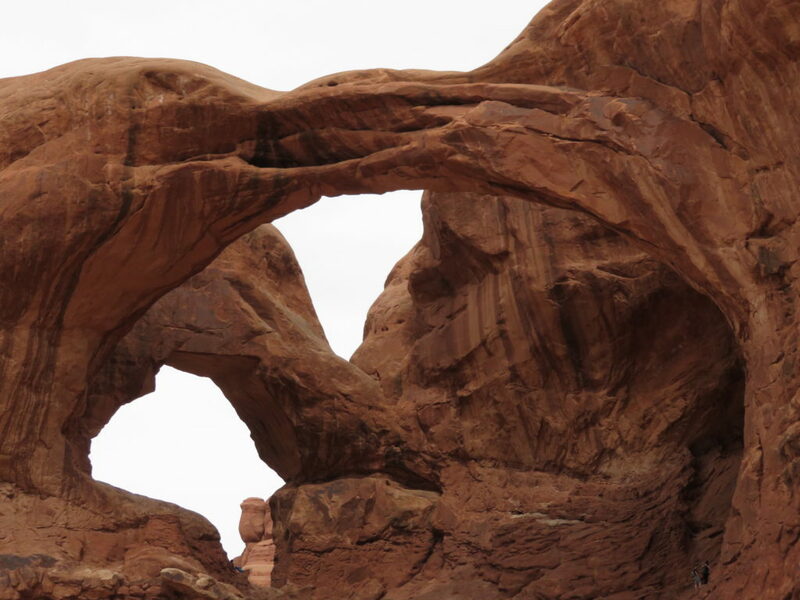 The plus is that you see many arches not visible from roads. We took the primitive trail route and all the listed side trails. 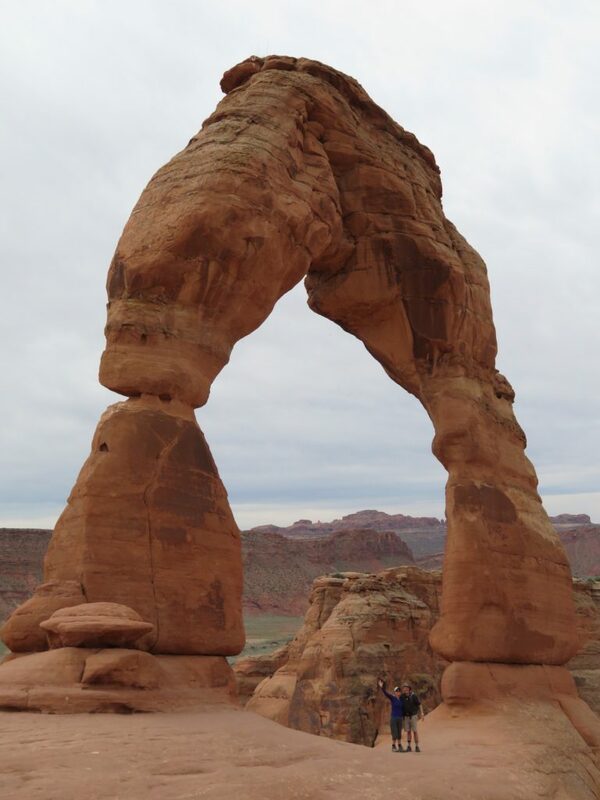 Delicate Arch.You’ve undoubtedly seen this arch in many photos. 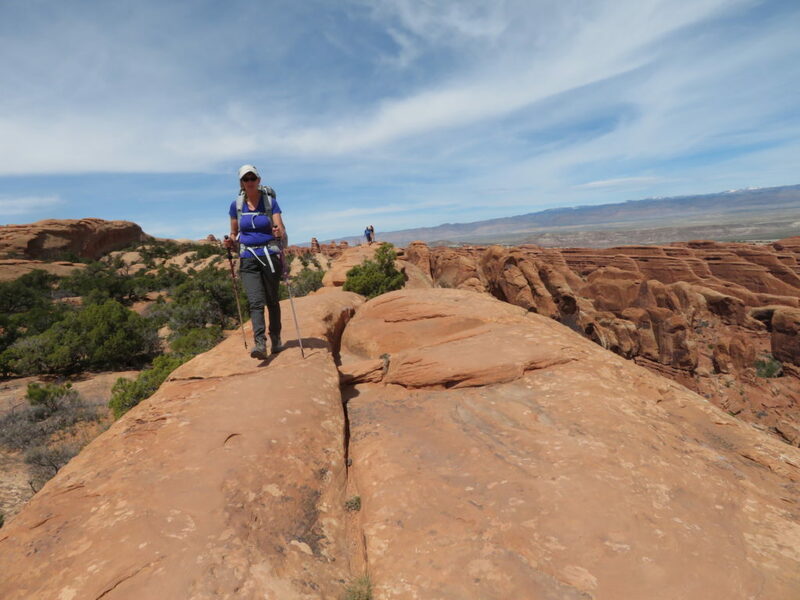 It’s a three-mile round trip hike over spectacular expanses of rock but not overly difficult. 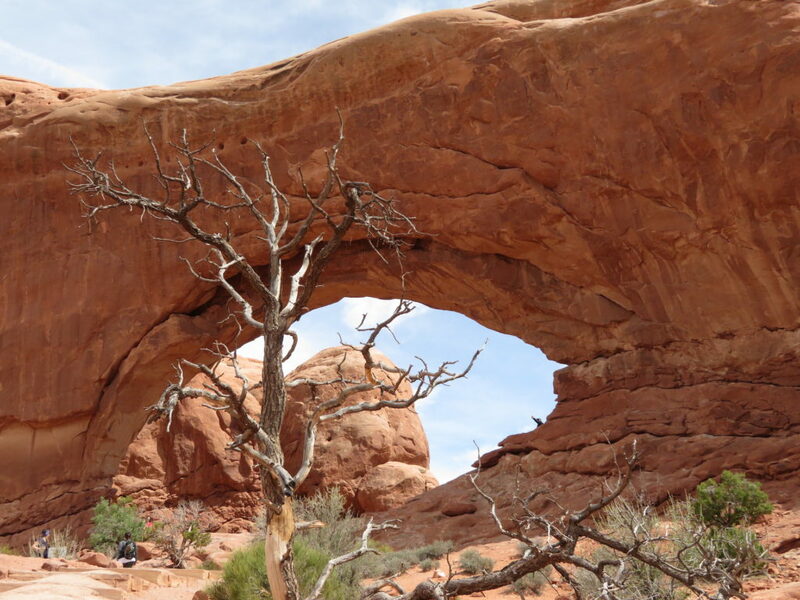 There is a tree growing on the top of Delicate Arch—which could hurry its eventual demise. I’d recommend doing this one early in the morning to beat some of the crows. 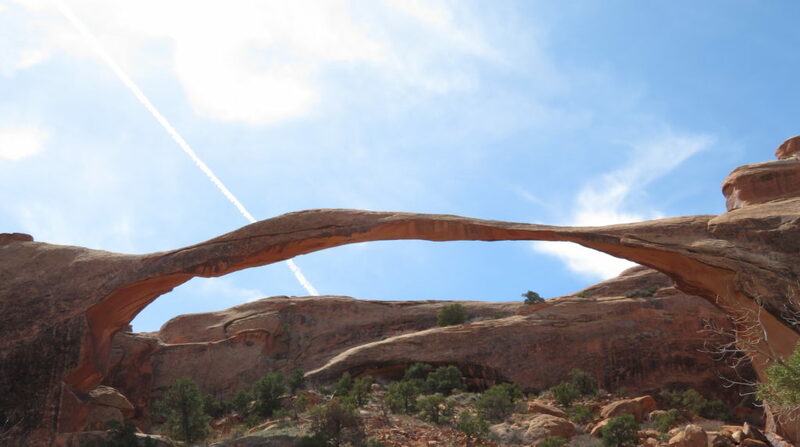 You can see this iconic arch from viewpoints on the road. 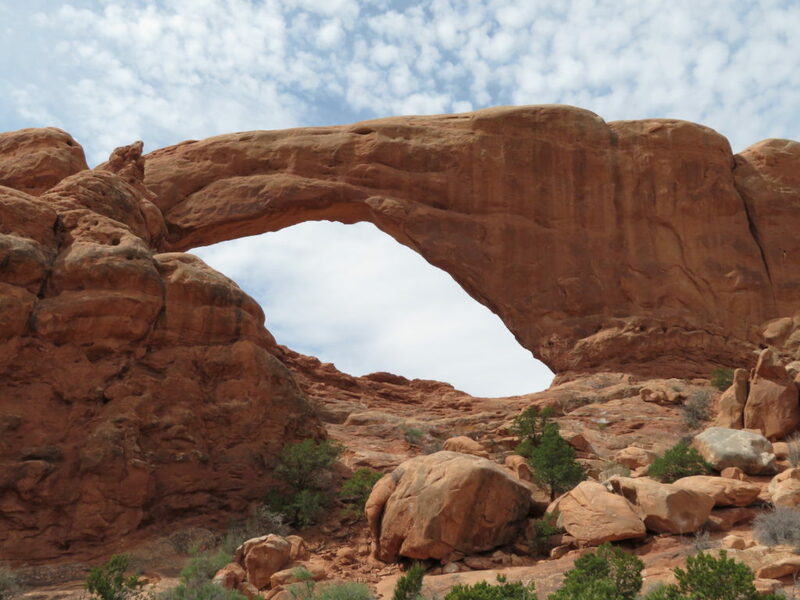 The Windows Section has easy hikes to Double Arch and several others. 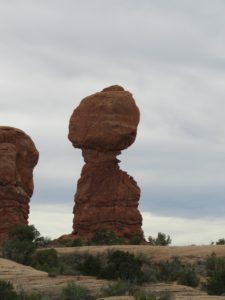 Balanced Rock should be renamed just-needs-a-stiff-wind-to-knock-it-down rock. I wouldn’t linger at the bottom in bad weather. Visible from roads. Park Avenueis a one mile each way hike through a remarkable canyon. Relatively easy. 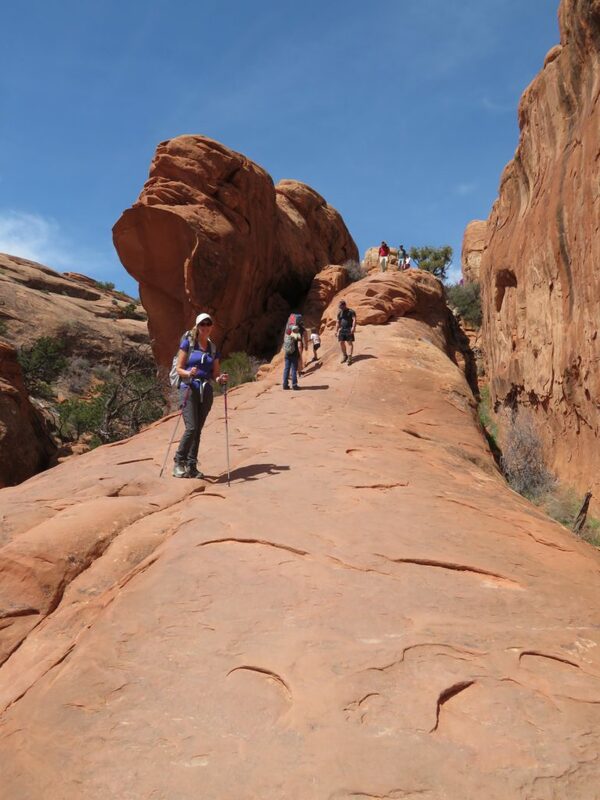 Note that we hiked the Devils Garden Trail one day and the other four all on the second day. 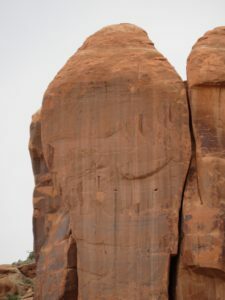 Can you see the “Smiley Face” in this rock near the entrance? 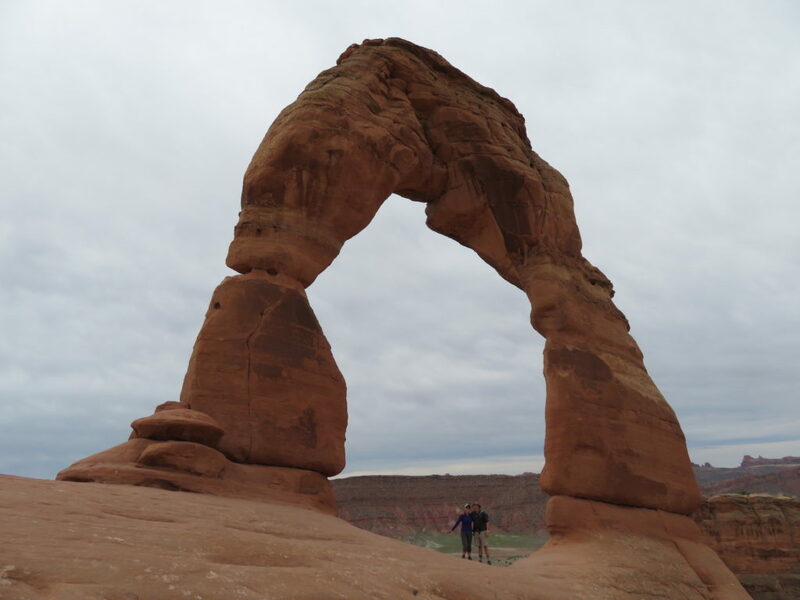 Unfortunately, the city of Moab forbids Airbnb and similar housing options. We stayed at the Aarchway Inn which was reasonably priced and had nice amenities—plus an excellent breakfast. Very popular with families. 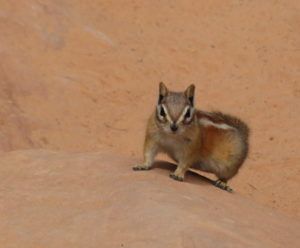 There are camping options in the park—reserve up to six months in advance. The town of Moab has a lot of great restaurants. Our favorite was The Spoke on Center. Eat on the patio if you have good weather. 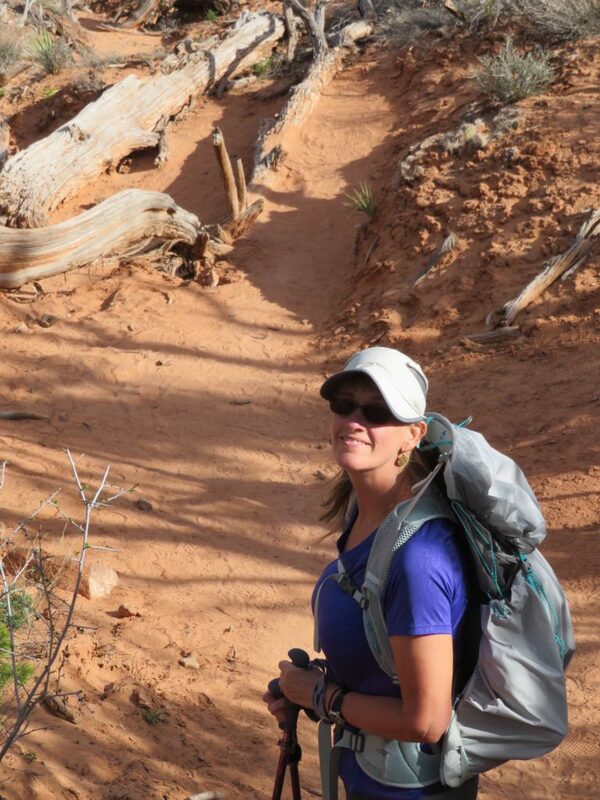 We highly recommend AllTrails.com for finding and tracking trails. I use the free app on my phone.